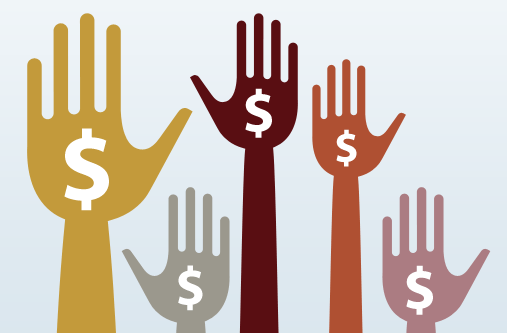 entreVIEW: Crowdfunding (the SEC’s Version): What Is It and Where Does It Stand? Crowdfunding (the SEC’s Version): What Is It and Where Does It Stand? Crowdfunding is defined as using the Internet and social media to raise capital, usually from a large number of people, and in relatively small amounts from each person. Many start-up businesses that do not have easy access to traditional capital markets and/or venture capital fundraising are eager to engage in crowdfunding. In April of 2012, Congress passed the JOBS (Jumpstart Our Business Startups) Act. The JOBS Act permits crowdfunding, but only subject to rules to be adopted by the SEC. The SEC has not yet adopted any such rules; its Regulation Crowdfunding, known as “Regulation C/F,” was proposed in October 2013, but the SEC is currently continuing to review comments. Unfortunately, until the SEC formally adopts Regulation C/F, crowdfunding as envisioned by the JOBS Act, other than traditional “non-equity” crowdfunding (or possible intra-state crowdfunding), is illegal. Shares issued pursuant to crowdfunding will contain transfer restrictions. For a period of one year after issuance, the shares will be transferable only to (i) accredited investors, (ii) the company, (iii) pursuant to an offering registered with the SEC, (iv) family members, or (v) certain trusts. Unlike “non-equity” funding campaigns managed by Kickstarter or Indiegogo, which provide a gift such as a T-shirt, trinket, or beta access to a product or service in exchange for contributed funds, the SEC’s version of crowdfunding will involve raising capital for a piece of the upside in a business entity, such as shares or membership interests. The equity crowdfunding dialogue has been going on for several years, and members of our Entrepreneurial Services Group will continue to stay plugged into developments from the SEC (or at the state level) as they occur.